Tokyo International Animation Fair, one of the world’s largest animation related events kicked off on Wednesday Tokyo Big Sight exhibition center and Hainan Resort Software Community (RSC), representing Hainan’s leading animation industry, made its debut at the anime fair. The presence of RSC is part of the company’s strategy to explore the anime markets in Japan and Korea and is particular interest to some of the most famous anime companies. 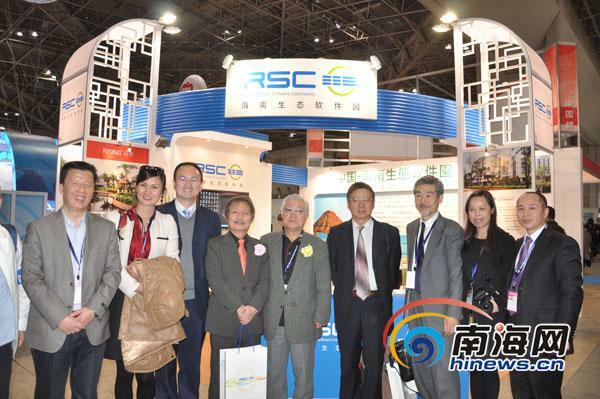 According to the organizers, the booth of Hainan Resort Software Community is the best among the Chinese exhibitors featuring rich shows and special appearances. Besides the exhibition display, RSC held special animation promotion conference and over 30 Japanese companies participate in it. A cooperation agreement has been signed to promote the animation industry through close talents exchanges between RSC and a Japanese local university. The Tokyo International Anime Fair 2012 attracts 500 world’s top television and film production companies as well as toy, game and software developers and will run until March 25.